This Fall it's time to welcome back the teachers of Smoot High for their sophomore season, which sees the inept teachers joined by a new Principal (played by Cheri Oteri) to shake things up. 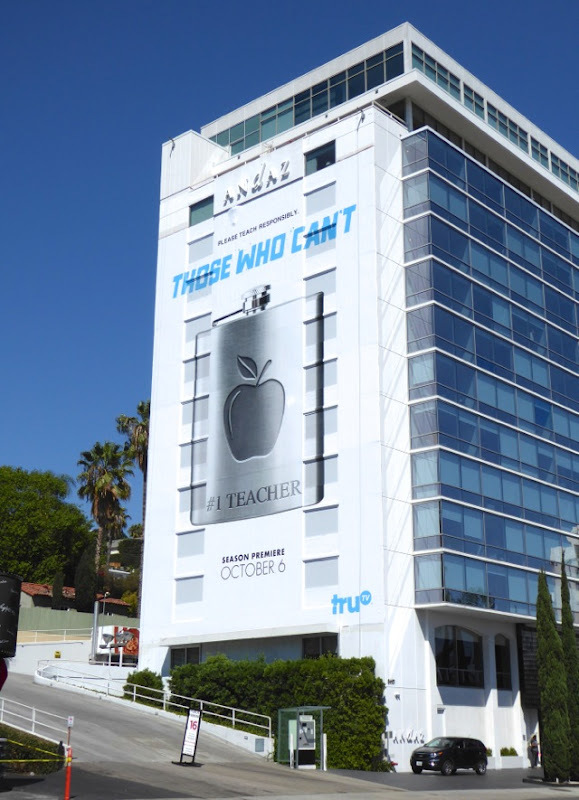 This second season ad creative with the hip flask with an apple engraved on it is a fun and clever idea, and the small 'please teach responsibly' tagline at the top is a nice tip of the hat to all the mandatory wording on alcohol advertising. 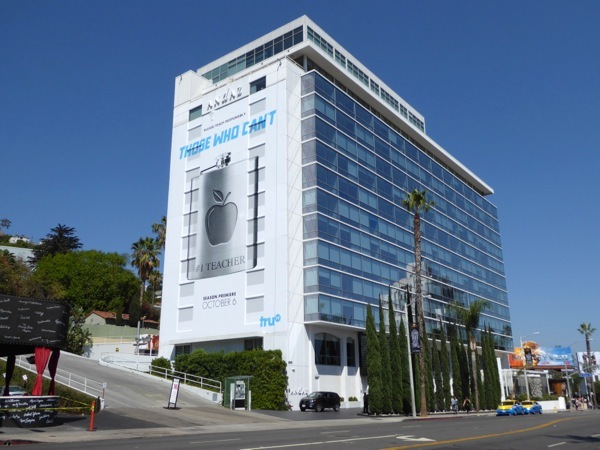 This giant-sized season two billboard was photographed making a big impression on the side of the Sunset Strip's Andaz Hotel on September 14, 2016. 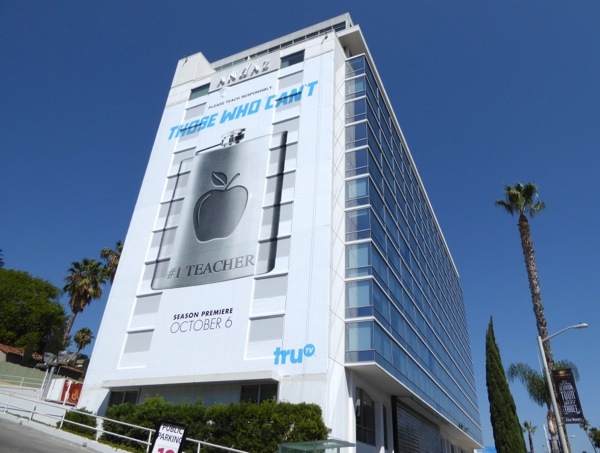 If you're a fan of the comedy series, make sure you also check out these season one billboards for Those Who Can't from earlier this year. 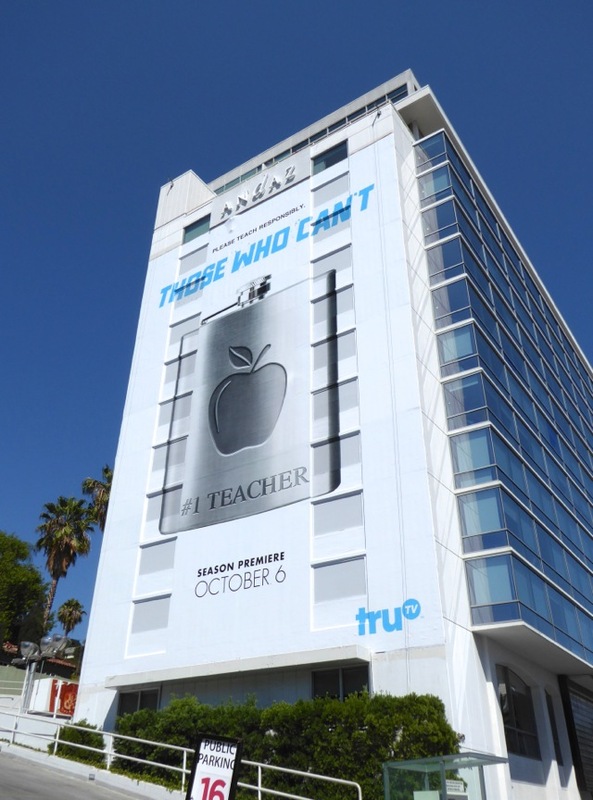 Plus for another apple-inspired teacher moment, you can also enjoy these Bad Teacher movie billboards with Cameron Diaz from 2011. If you're feeling a bit nervous about going back-to-school, or just standing in front of all those unruly kids day after day, we're sure a nip of whisky will do the trick. UPDATED: Here's another hilarious ad creative for the show's sophomore season. 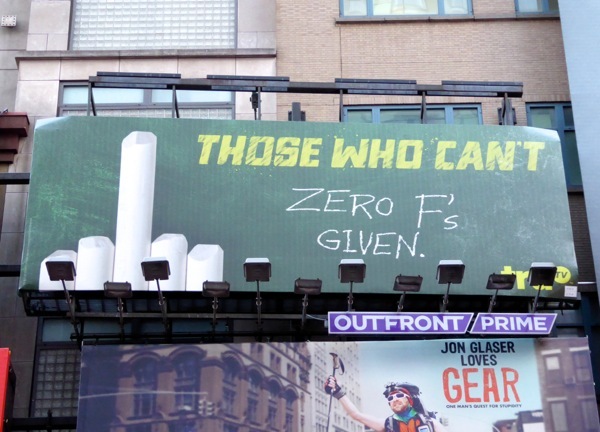 This witty chalk finger 'Zero F's given' billboard was spied near Times Square in New York City on November 11, 2016.